The Berlin Wall was an obstacle that divided East Germany from West Germany between 1961 and 1989, it was raised by the German Democratic Republic (GDR, East Germany) starting on 13 August 1961. It completely separated (by land) West Berlin from surrounding East Germany and from East Berlin until it was demolished in November 1989. Its destruction officially began on the 13th of June 1990 and was finished in 1992. The establishment was also comprised of guard towers situated along large concrete walls, which marked a wide area which was later known as the “death strip” that contained anti-vehicle trenches, “fakir beds” and other defensive structures. 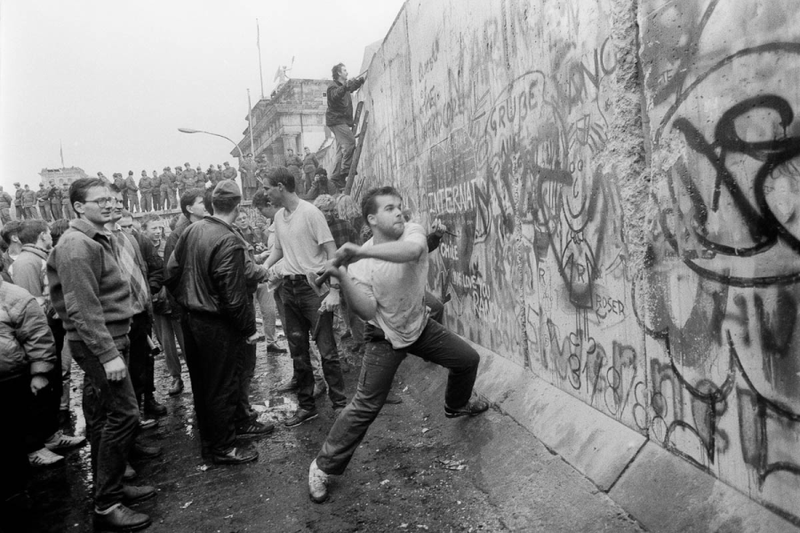 The Eastern Bloc presented the wall as a way to protect its citizens and “the will of the people” from fascist elements that were conspiring against them in building a socialist state in East Germany. 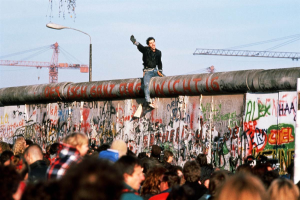 While actually the Wall was used as a means of preventing the massive emigrations and defections that marked East Germany and the entire Eastern Bloc during the post-World War II period. It came to symbolize the “Iron Curtain” that separated Western Europe and the Eastern Bloc during the Cold War. Iron Curtain, the ideological, military, and political barrier established by the Soviet Union following World War II to isolate itself and its allies from eastern and central Europe from direct communication with the western countries and other noncommunist countries. Joseph Stalin’s death in 1953 drastically reduced the rigidity and restrictions of the Iron Curtain, but they were reinstated in 1961 when the construction of the Berlin Wall was finished. The Iron Curtain was demolished between 1989 and 1990 when the communists abandoned the one-party rule in the Eastern Bloc. In 1989, a political chain of events occurred in the Eastern Europe, starting with the lifting of the Soviet Bloc’s power systems and the degradation of political power in the pro-Soviet governments in neighboring Hungary and Poland. On the 9th of November, following several weeks of civil unrest, the German Democratic Republic issued a statement saying that all GDR citizens could cross over to West Berlin and West Germany. 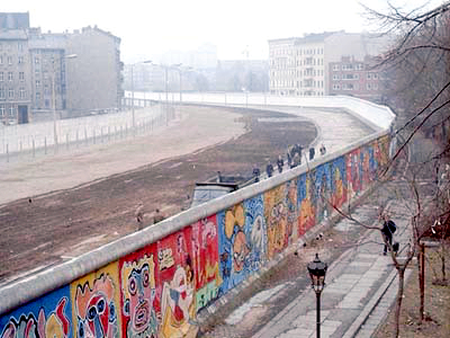 Thousands of East Germans climbed over the wall, reuniting with West Germans on the other side in joyful relief. In the following weeks, the newly liberated public took the wall down piece by piece; industrial equipment was used to remove most of what was left by the government. 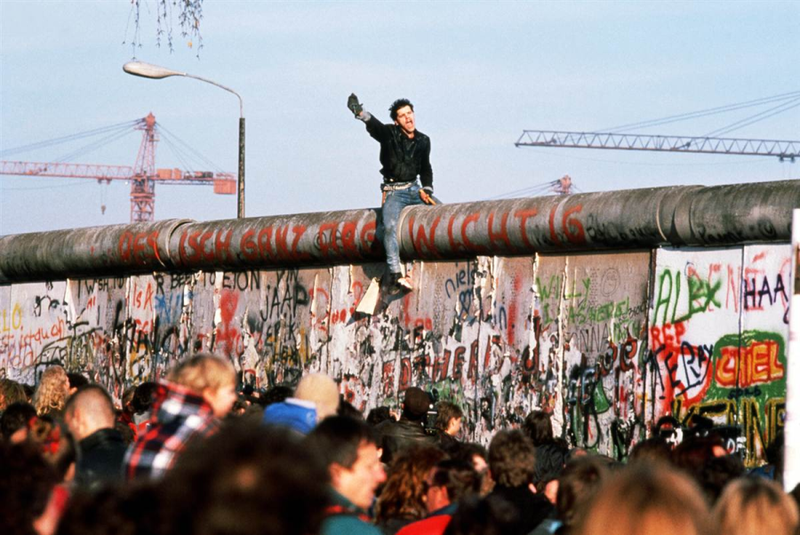 Although in popular belief it is thought that the demolition of the wall began in the summer of 1990, it was actually finished in 1992. These events were the building blocks for the German Reunification, which was officially concluded by the Government on the 3rd of October 1990. Almost 2 million East Germans rushed through the open border and into West Germany within the first 2 days of the fall of the Wall. In just a week, more than half of the country’s population of 16 million crossed through to the other Germany. The rushing mobs flooded stores in West Berlin and West German and all bordering towns, with East Germans amazed by abundance of goods which they could have only dreamed of in the east side. But as the celebrations faded, East Germans realized they were outsiders in a new land. Their eastern currency had no value in the West, so the 100 deutsche marks which was a welcoming gift from the western German government were swiftly spent. Almost immediately the anti-regime demonstrations in East Germany called for new reforms: They demanded the unified deutsche mark, which inevitably meant reuniting Germany . In the following months, the West German government would start a massive income of financial and social subsidies and within a year make whole a country divided for the next 40 years. Enjoyed reading this article? Consider reading also about The Fall Of Communism in Romania and The Russian Revolution.